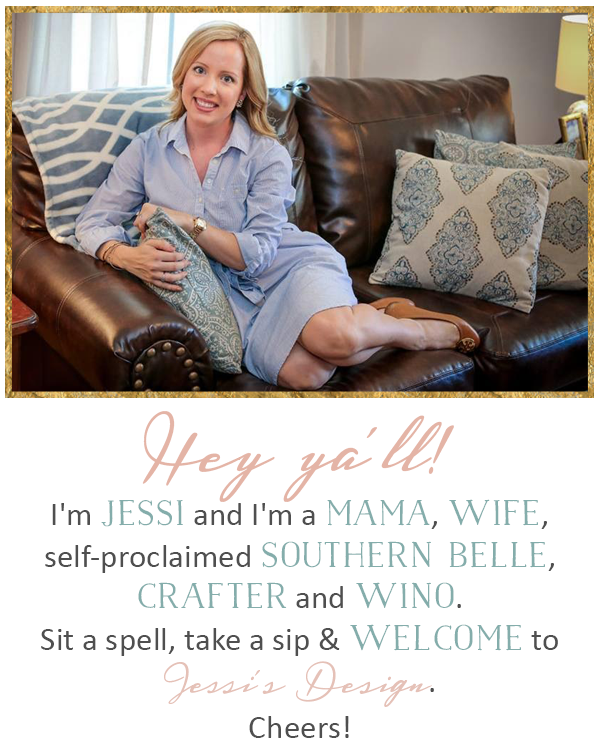 Jessi's Design: Trending Tuesday: Being Brave & Mixin' it up! Luckily I follow along with some pretty trendy fashionistas like mmhmm Miss Zelle @ Southern Style! Linking up today with her for a little mixing patterns preview. Let me know what you think- And don't forget ya'll- you can do this in your home decor as well! 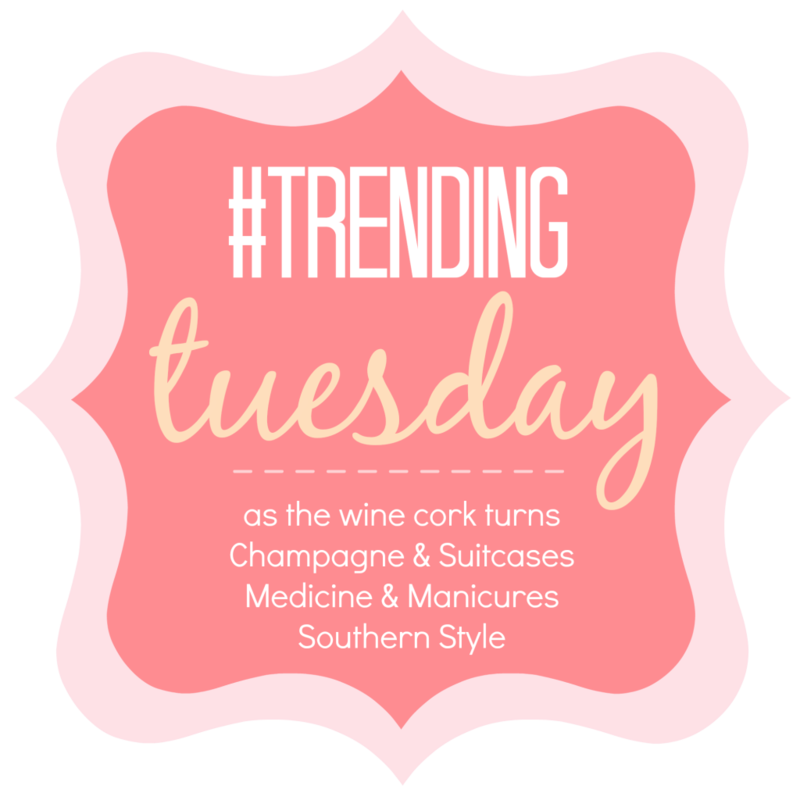 Check em out below for other trending styles and join in! Pattern mixing is so pretty, just kind of intimidating to do. I have one outfit where I mix patterns and get so many compliments. I know in 20 years I'll look back at pictures in that outfit and say "what was I thinking?!" Lol. I'm with you on this one!! I love the trend but just not sure I would be able to pull it off!! The lace skirt with chambray shirt would be the best though!! I think that the top 2 are my favorites but I'm not so sure that I'd ever be able to pull it off! Maybe one day? love these looks! i think the easiest way to do it is mixing stripes with another pattern. flawless! I really love the first look! So cute! I'm finally starting to get on board with "animal print is the new neutral," but I've got a long ways to go in learning to mix patterns! I'm a little too scared to get too crazy with mixing patterns on clothing but I love to do it with decor! That last picture is killer! I'm the same way - scared of mixing patterns! But I love the ones you've posted here. Love that stripes are acting as a neutral in some of them too. I'm always so scared to mix patters but I LOVE seeing how other bloggers do it! The most I do is like stripes and leopard but I need to try more! I love this post because I am so bad at mixing patterns. I just am not that bold. I love it on other people! And I definitely needed the inspiration! I love all of these looks, you could totally pull it off! Aren't you the sweetest! ahhh love you. but really though -- I'm obsessed with all of these. That top picture is amazing and loving those floral pants! xo! I love the inspiration images! The floral pants and striped shirt I want to re-create. I love this look, too but don't know how to pull it off! 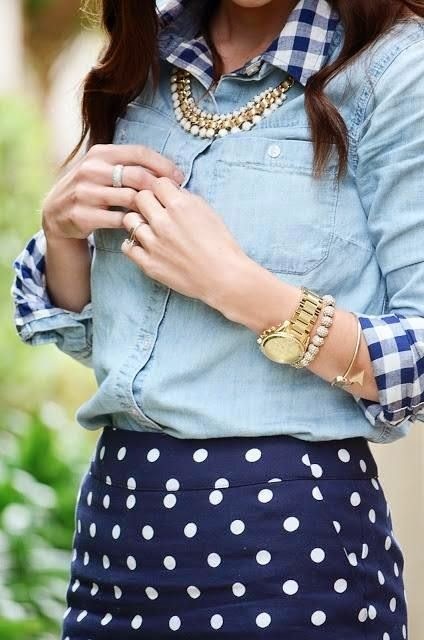 I think the easiest way to start is with a chambray shirt... they go with everything! Love all of these!! 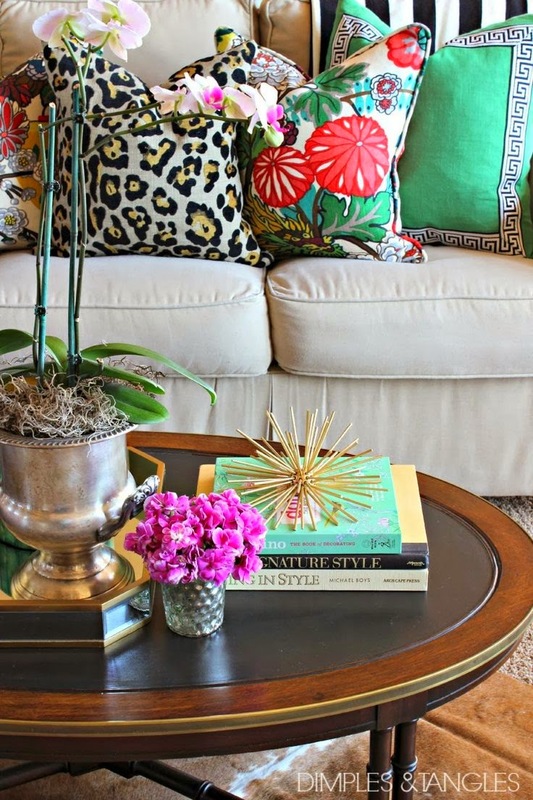 And such a good point about mixing prints in home decor! I love pattern mixing but just can't get on board with it for myself. All of these are so pretty!! 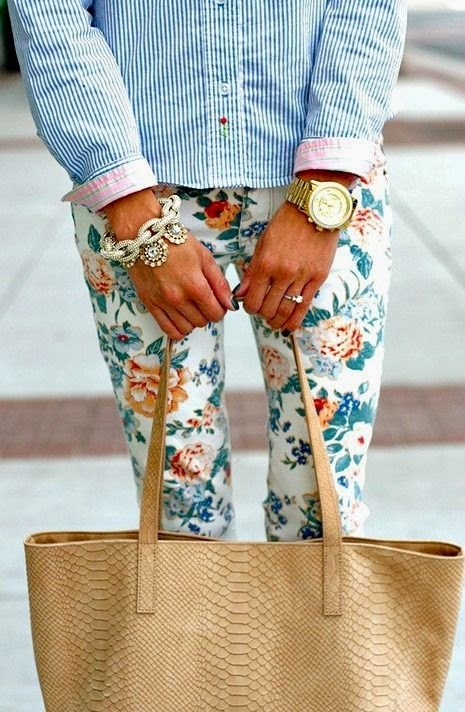 Love the floral pants and striped blouse! Gorg! Love all those looks! I don't think I have enough patterns in my wardrobe to throw a cute outfit together; it's mostly stripes. & solids for me! Gorgeous picks girl especially that first one it is perfection! 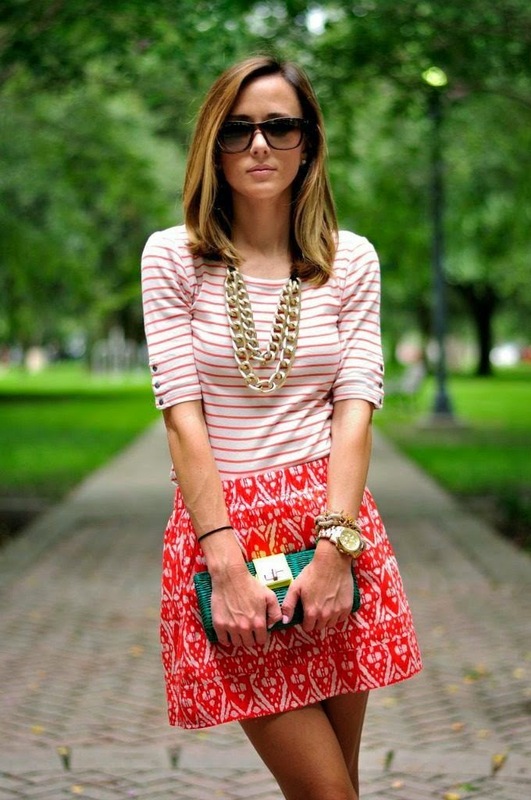 I love mixing patterns and these are all perfect examples of it! I am especially loving the pillows! I love mixing patterns too! 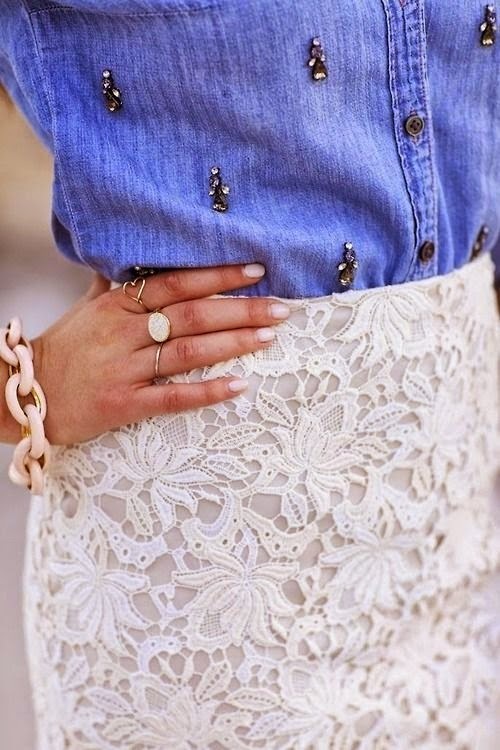 Chambray and lace is one of my favorites.